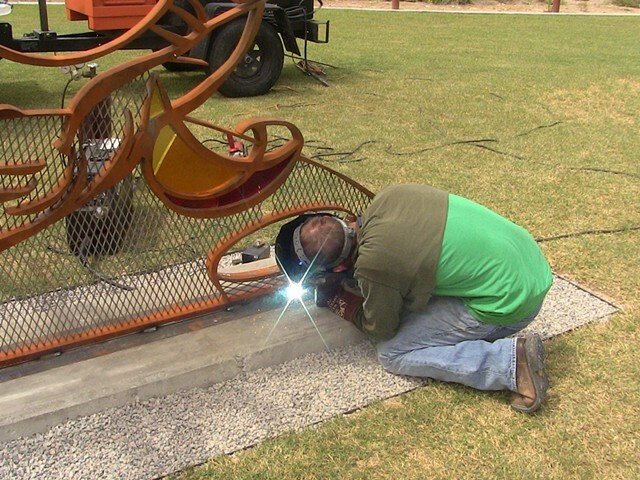 Jason handled the field welding for Josh Sarantitis's public art sculpture. His welding/generator trailer is powerful enough to handle big jobs! Jason also did the footing; rebar, concrete, gravel, steel edge etc.